My Truck is a 2016 2.7 xlt sport 4x4 302a with glass roof, almost pulled the trigger on a 2018 raptor. When i stepped back and looked at what i was really wanting before i cut a check for $35000 and traded my truck in, i realized i really wanted the suspension and body work. Call me crazy i really didn't care much about the motor. Soo i decided to save $30000, and convert mine. Last edited by flowmasters40; 01-04-2018 at 08:30 AM. I remember reading that either the upper or lower control arm has a different attach point, whats your plan for that? 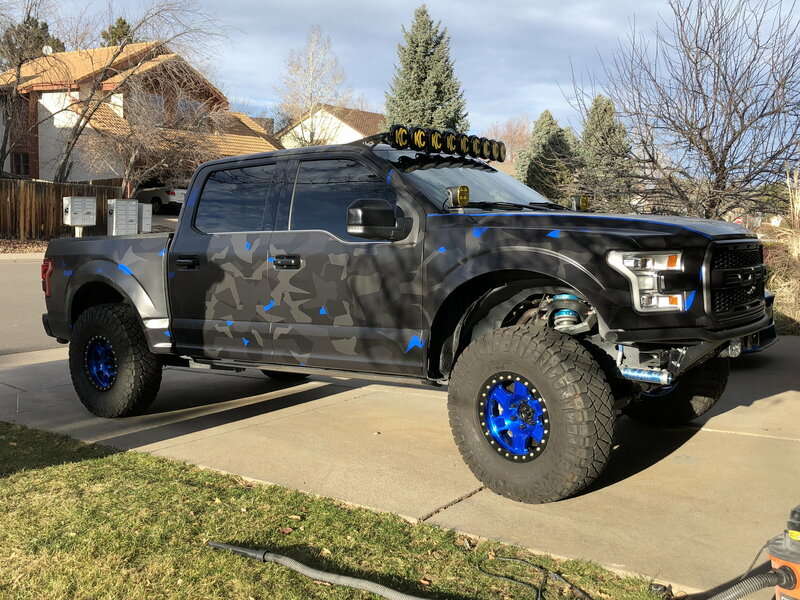 I can’t imagine for wold change that much between the raptor and standard F-150, where did you hear that? How do you plan on widening the rear track? Here is my coyote #plaptor. I did Rogue Racing suspension, Raptor diffs, and King shocks plus much more. Let me know if I can help. Last edited by dnewman; 12-10-2017 at 11:37 PM. How was the quality of the fiberworx glass? I think any manufacturer's first set of glass can be problematic, this is their 4.5"glass and it is several production runs through and was about as good as you could expect. 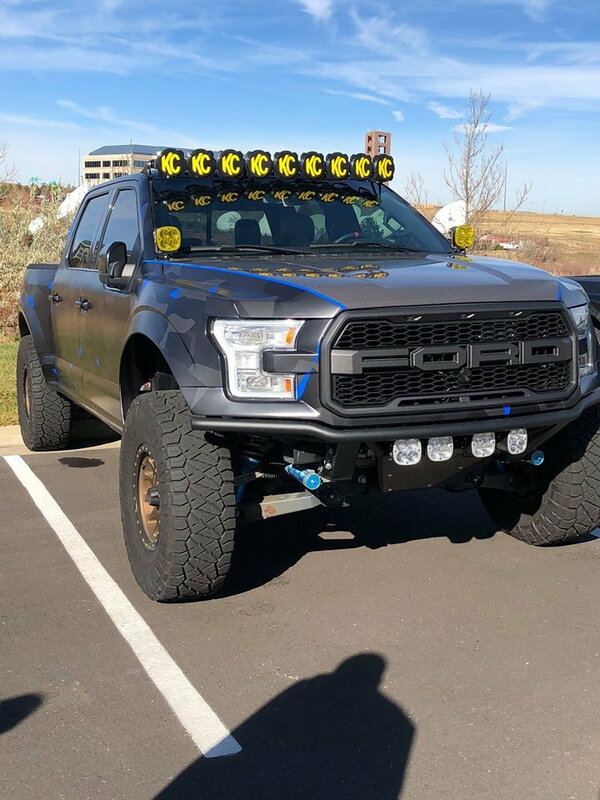 I ran their Raptor OEM glass the first build on this truck, a set from the first production run and it was rough. I have a fair amount of time into the fenders getting them to fit fixing mold issues etc and it fits pretty good. If I had painted it, it would have been a fair amount of blocking to get straight.